On the Manero's side, however, is the fact that while the movement is not strictly speaking in-house (caliber CFB 1970 is derived from the ETA 7750) it has been significantly modified, including the addition of a column-wheel control system rather than the stock lever-and-cam mechanism, as well as the addition of a flyback function. Sentences like that are enough to make somebody flee watches into the embrace of baseball card collecting. 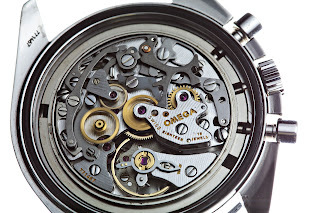 Articles about watch movements often sound like lessons in anatomy or spaceship engineering. And while watches are complicated engineering miracles, deciphering what people are saying when they use words like “Valjoux 7750” or sentences like “For the movement Wenger opted for an undecorated Swiss ETA 2824-2 automatic, which operates at 4Hz (28,800 bph) with about two days of power reserve” isn’t hard at all. This short article isn’t going to compare movements, detail each movement’s functions, or wade into one of horology’s great debates, what’s better, an in-house or ETA movement? I simply want to make sense of those names and numbers. Movements are also called caliber, or calibre, by the way. We might as well start with ETA, even though that’s a little like jumping into the deep end of a cold swimming pool if you’re the type of person who likes to slowly acclimate himself by tip toeing in from the shallow side. ETA, owned by Swatch, is a Swiss company that makes watch movements. ETA is the world’s biggest watch movement maker. They make both quartz and mechanical movements, though I’m only going to discuss mechanical movements here. Watch movements are often identified by the watch company or manufacturer’s name, followed by a number. If you’ve read any watch reviews you’ve probably come across the ETA 2824, the most famous of watch movements. Many companies use an ETA 2824-2 (the “2” is for second generation) in their watches. ETA also makes other movements, including the also famous ETA 2892, which differs from the 2824 by — no, never mind. All you need to know is the 2892 is a bit thinner and better than the 2824. There are other ETA movements in this family, too. Seagull ST2130 movement, that’s a watch with a Chinese-made ETA look alike movement. Sellita is another Swiss company that makes watch movements, their most popular being the Sellita SW200, a nearly perfect — or maybe perfect — clone of the ETA 2824-2. Sellita’s movements have become important because ETA will soon no longer supply movements to watch companies outside of the Swatch Group (which includes watchmakers like Hamilton, Tissot, Harry Winston, Glashütte Original, Omega, and Breguet.) In other words, if you want a reliable ETA movement in your watch, you have to get that “ETA” movement from Sellita, Seagull, or another company. If it feels like a movement’s name and number is a little misleading, your feelings aren’t wrong. Movements can be closely related even if they’re called by different names. It’s common for watchmakers to modify ETA movements, either in small ways like adding some decorations, or by making big changes or additions, such as adding new complications. These modified ETA movements are bequeathed brand new designations. Remember the quotation at the beginning of this article, “CFB 1970 is derived from the ETA 7750.” That’s about the Carl F. Bucherer movement in their Manero watch. Carl F. Bucherer took an ETA 7750, modified it and called it the CFB 1970, an absolutely acceptable thing to do in the watch world. 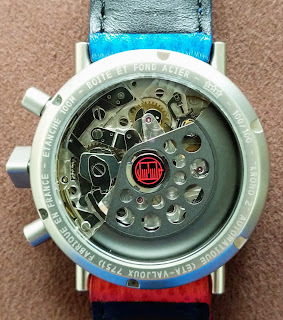 Ball’s Engineer Master II Diver TMT movement, the Ball RR1601 was an ETA 2892 that Ball tinkered with and imprinted with a brand new movement name. Think of it this way: The ETA 2892 gave birth to the Ball RR1601. The ETA 7750 is a popular chronograph movement. It’s also called the Valjoux 7750. Yes, the same watch movement can sometimes have two names. It’s the renaming and renumbering of basic ETA movements that makes watch movement nomenclature seem so complicated. But once you know that the Omega Co-Axial 2500 started out as a heavily modified ETA 2892, the world makes sense. Other watch companies make movements, too, including Japan’s Citizen watch company. One of their most popular movements is the Miyota 8215, which you’ll find in many watches. Here’s an interesting movement-related philosophical thought: Because many watches use the same movement, the ubiquitous ETA 2892, the only difference among these watches is what’s on the outside. Their essence is identical. In-house movements are a different animal. In-house movements are movements made by the company that also manufactures the watch. Watch movements are exceedingly difficult and expensive to make, which is why most watch companies purchase movements to either use as is, or modify. Naturally, companies that make their own movements give them their own names. Companies that use their own movements include A. Lange & Söhne, Audemars Piguet, Christopher Ward, IWC, Girard-Perregaux, Greubel-Forsey, Jaeger LeCoultre, Nomos, Parmigiani Fleurier, Patek Philippe, Rolex, Seiko, Vacheron Constantin, and Zenith. Sometimes some of these companies use ETA movements, too. Each watch company that makes movements deploys their own naming system. There are no rules. The Caliber 9S86 is Grand Seiko’s mechanical hi-beat movement, for example; 9S being the designation Grand Seiko uses for its mechanical movements, adding numbers to indicate variations on the 9S. Grand Seiko’s 9F is their hyper-accurate quartz movement. The 9R is Grand Seiko’s futuristic Spring Drive, with 9R01, 9R65, being variations that add extra features such as a manual wound eight day power reserve and a three day automatic powered watch, respectively. Learning about movements is an exercise in memory, as much as anything else. 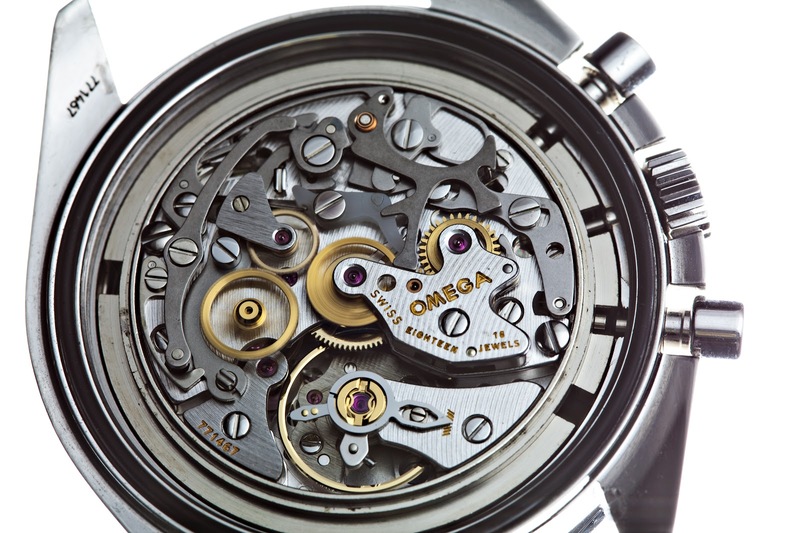 There’s a lot more to say about watch movements, and you don’t have to look far to read about movements. What I wanted to accomplish here was to demystify the complicated and confusing way watch movements are named. What’s my favorite watch movement? (Watch collecting doesn’t get more nerdy than having a favorite watch movement.) It’s the Seiko Spring Drive, the 9R in all its variations, which may be the most brilliant watch movement ever designed. In short, a spring drive is a mechanical movement that uses a quartz crystal and a Seiko-invented tri synchro regulator to perform precise electromagnetic braking magic on the watch’s second hand to keep it accurate to within a second a day. That’s a mouthful. Watch this video for a better explanation. You can look up just about any watch movement at Watchbase. Movements are amazing. Enjoy the journey.